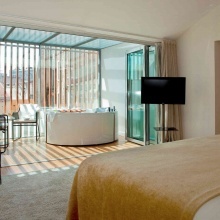 Inspira Santa Marta Hotel is the most amazing secret to be discovered in the heart of Lisbon. 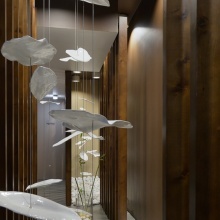 The Feng Shui inspired decoration makes it a true “urban oasis” that turns each stay into a memorable experience. Offering its guests a wide range of premium services, the hotel boasts 89 rooms, 7 of which are suites. The Feng Shui energies flow freely through each room, lending colors and shapes to a sophisticated decoration. The Wellness Center includes a sauna, Jacuzzi, steam bath and a fitness room but the hidden gem of this charm hotel is its spa. The Retreat Spa has six treatment rooms, and relies on an attentive and highly qualified team to provide highly personalized services. The hotel’s restaurant, Open Brasserie Mediterrânica, is gluten-free certified and it offers a wide range of options that will certainly meet all clients’ expectations. The menu includes lactose-free, vegan and vegetarian dishes and it makes the most out of local and seasonal products, always fresh and, whenever possible, organic. 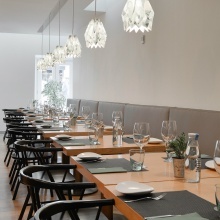 Each dish brings out the best Portuguese flavors and is a result of the most bold and innovative cuisine techniques. 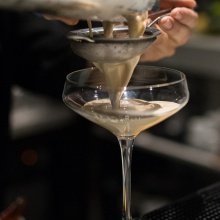 For moments of social interaction, Inspira Santa Marta Hotel boasts The Urban Bar, which is a warm space with a sophisticated vibe and a personalized service that serves the most famous cocktails along with the most traditional Portuguese liqueurs. The entire project is based upon a simple belief, the need for a more sustainable tourism industry that could be a source of new experiences in harmony with people and environment. 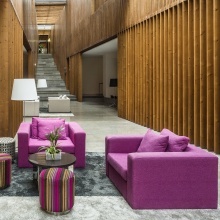 This boutique hotel is committed to offer its guests different and unique experiences, whilst respecting the environment, rising awareness on social responsibility issues and balancing people, nature and materials. The hotel and its operation are conceived to offer a state of wellbeing to its guests achieved through an integrated management system to ensure quality all along the way. Inspira Santa Marta Hotel isn't following anyone yet.